STYLING FOR THE HOLIDAYS - Decor Designs, Inc.
Tis the Season! Just before & after Thanksgiving, the rush is on to transform our homes into the holiday havens we want to share with family and friends this joyous time of year. Needless to say, we’ve been busy little elves the last two weeks “decking the halls” for clients. Believe it or not, helping folks with holiday decorations can be even more intimidating than helping with everyday decor. Since so many memories and family traditions play a part of Seasonal celebrations, we do our best to respect them as we help clients bedazzle their homes for the holidays. Even though some want a more theme-d look to their decoration, there is almost always some kind of hint to family & tradition. 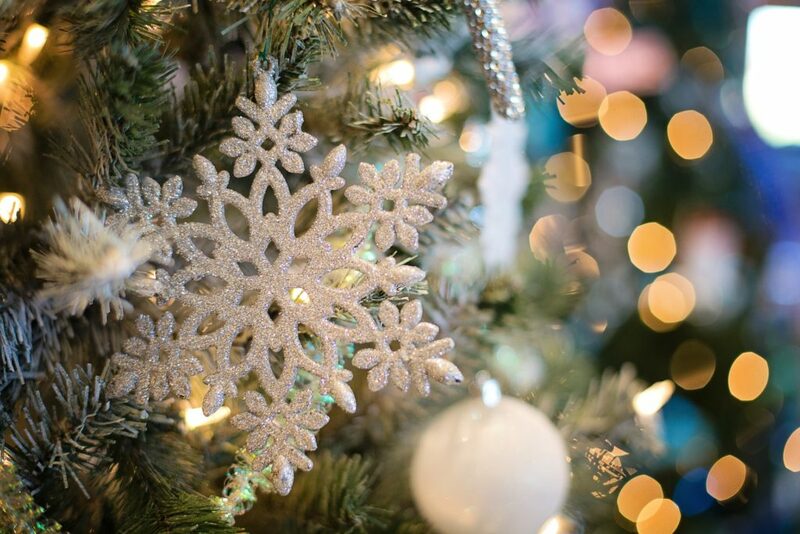 Whether it’s collected or hand-me-down ornaments, a Christmas village collected over years or hand made ornaments from the grandkids, those items are just as important to achieving the perfect look & feel for the holidays. Over the years, we’ve found that striking the right balance between a “designer” look and a more traditional, “family” look renders the best result. So with the vast majority of clients, we do our best to put our designer spin on tradition by “up-styling” collected and other sentimental decorations. Of course, theme-d trees, with perfectly coordinated ribbons, bows and ornaments, are things of beauty. But a tree filled with special, one-off ornaments can be just as spectacular! Simply mixing one color of stock ornaments, picks and/or ribbons into a tree of collected ornaments will help unify the overall look of the tree. BRING THE OUTDOORS INSIDE: Tucking fresh/ faux evergreens, holly, pinecones, birch logs etc… in with your everyday accessories immediately transforms them for the holidays and adds a touch of elegance to any decor. GO BIG OR GO HOME: I’ve been known to say, “It’s not done, ’til it’s overdone”. In reality, your home doesn’t have to look like an elf threw up in order to feel festive for the holidays. In fact, limiting your holiday touches to a few large pieces per room, rather than a bunch of small ones, will have a more dramatic, sophisticated impact. LIGHT IT UP: Simply changing your lighting will make your home feel more festive for the holidays! The soft, warm glow coming from candles and twinkle/rice lights on the tree and garlands will set the tone. Just make sure you turn off or dim overhead lighting and lamps to create a more cozy feel. With these tricks and more, we reveal the hidden festivity in our client’s traditional holiday decor. Adding a more refined and stylish touch doesn’t mean sacrificing sentimental holiday treasures and the memories they evoke. What are your must-haves this time of year? What can you do to change it up without diminishing the traditions you hold close to heart? Here’s hoping some of these tips will inspire you as you’re decking your own halls. Let the joyous celebrations begin! This entry was posted in Decor Designs, Inc. and tagged Holiday Decorating on November 29, 2018 by Jeff Rice.